Immanuel Lutheran Church has secured funding from the Meyer Memorial Trust to launch a feasibility study for potential uses of its eight acres of land located at Evergreen Road and Linfield Avenue. The land was originally purchased in 2006 as a future home for Immanuel Lutheran. According to Terri Gonzalez, chair of Immanuel Lutheran's building team, "Since 2016, we heard from dozens of stakeholders, individually and at two community forums, who called for a multi-cultural, multi-generational community services, spiritual and gathering space. This led to a short list of priority uses, including early learning classrooms, a senior center / meal site, spiritual center, commercial kitchen and meeting hall." There is strong support for both an indoor and outdoor space for community members to host meetings, events and community gatherings, a press release from the church stated. A soccer field, natural area and affordable housing were also affirmed. Prior community outreach had funding support from Immanuel Lutheran and the Ford Family Foundation of Roseburg. In 2018 the church will complete assessment of community needs, conduct site visits, convene a Project Committee, develop facility plans and craft a funding strategy for capital costs. 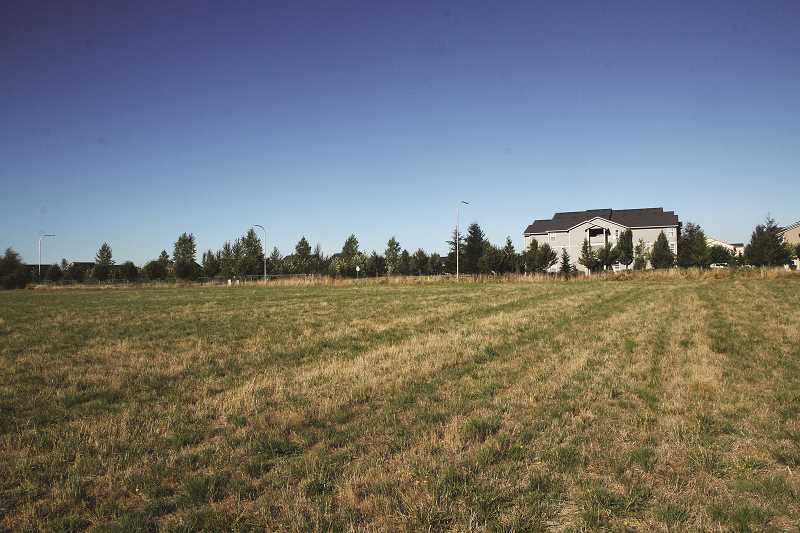 Planning will align with the city of Woodburn's plan to build a public community center. "This project has real potential to address compelling needs in the Woodburn community," said Nancy Ramirez Arriaga, Building Community program officer at Meyer Memorial Trust. "We're excited about Immanuel Lutheran's approach and convening of the Woodburn Opportunity Partnership, a group of faith-based and nonprofit partners to ensure the principles of diversity, equity and inclusion inform this process." The Trust is a private foundation and is not connected to Fred Meyer, Inc.
Immanuel Lutheran has been a faith community for more than a century, now operating a preschool, weekly community supper and twice-weekly services in Spanish. The feasibility study will be guided by the church's Building Team and the Project Committee, with assistance from project coordinator Bill Weismann and consultant Pastor Ron Werner.